Want to glimpse some of the best sights that Montana has to offer? There's no better way than hitting the 50 mile stretch known as Going-to-the-Sun in Glacier National Park. The park boasts some remarkable natural landscapes from towering mountains to crystal clear waters, and evidence shows that the first human inhabitants of this area arrived about 10,000 years ago. Originally inhabited by native tribes this area beckoned to European explorers looking for pelts. The area was soon settled by miners and the completion of the Great Northern Railway in 1891 meant more migrants to the area and new towns popping up in Montana. Area residents like George Bird Grinnell pushed for a national park to be established to protect the surrounding landscape, a successful bid that means we can enjoy the splendors of Glacier National Park today. Explore the million acres of gorgeous natural beauty preserved by Glacier National Park -- including mountains, forests, quartz lakes and valleys carved by glaciers. Drive along the Going-to-the-Sun Road, located at Logan Pass and the Continental Divide. Hike! 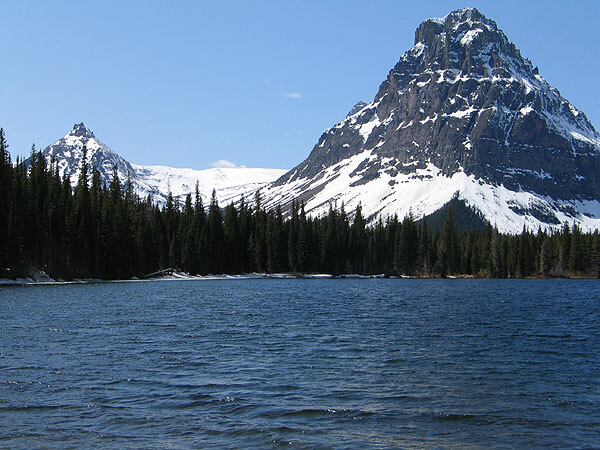 There are more than 740 miles of trails to choose from including the Highline and Iceberg Lake Trail. Enjoy the park's diverse wildlife, which includes over 270 bird species and the mountain goat, the official symbol of the park. In winter this park is perfect for skiing and snowshoeing. Wander over to the Canadian side of the Waterton-Glacier International Peace Park, Waterton Lakes National Park. Visit Lake McDonald, St. Mary Lake, Avalanche Lake, Grinnell Glacier and Logan Pass.